The centrally located Selby Five Points Park became the center of controversy in 2011. Benches were removed from the downtown Sarasota park in August 2011, in response to complaints from downtown condominium residents who claimed homeless individuals and other people the residents described as “vagrants” were dominating the public seating. Residents asserted that such use of the park made downtown unsafe and would lead to a decline in property values. The bench removal resulted from a City Commission vote in May 2011. Now, more than four years later, the City Commission will revisit the decision. The agenda for the evening session of the regular City Commission meeting on Monday, Dec. 7, includes a discussion of the topic. The evening business will begin at 6 p.m. in City Hall, located at 1565 First St.
City staff is recommending the commissioners authorize the city manager and staff to “explore the reintroduction of benches at Five Points Park and implement and alter at [city manager’s] discretion as a component of appropriately activating the park, with input and feedback from residents, businesses and visitors,” according to agenda backup material. Recently, at least two city commissioners, Liz Alpert and Vice Mayor Suzanne Atwell, voiced their willingness to put the item on an upcoming agenda for discussion. Even though city workers removed the benches, homeless people continue to gather in Five Points Park. Advocates for the homeless have criticized the commissioners for taking away the seating to prevent the homeless from loitering in the park. At the same time, the urgency of addressing homelessness in the community has grown over the past year. The city and county commissioners have grappled with the best means of helping the chronically homeless population, including a focus on the establishment of a shelter or triage facility; debate continues over its size and location. 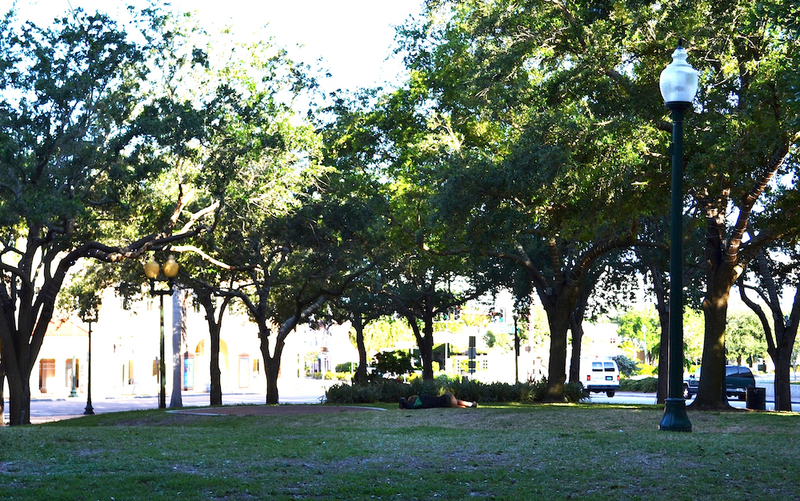 As for Five Points Park: The benches were removed in two phases. 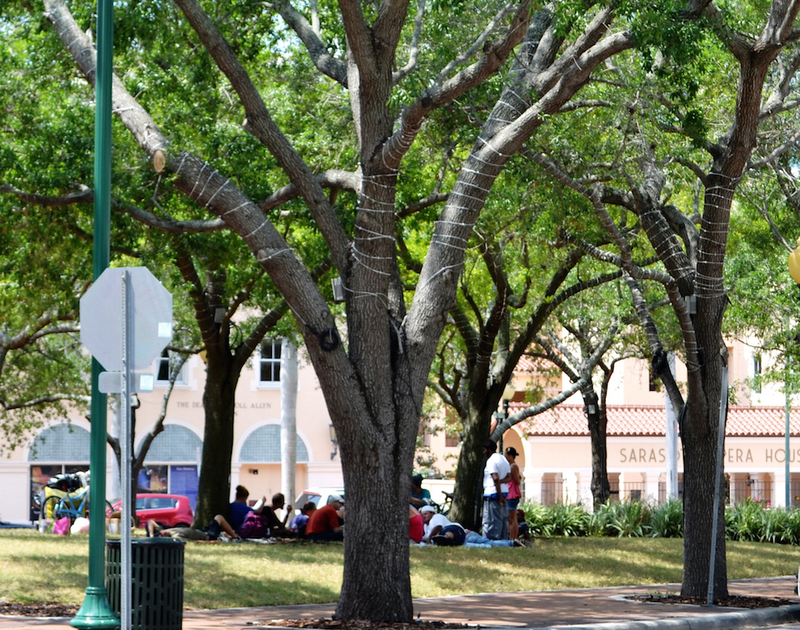 In April 2011, the city commissioners initially directed staff to reduce the number of benches, which were seen as being “massed together” in that area, according to City of Sarasota documents. One month later, the board members directed staff to remove the three remaining benches from the park. 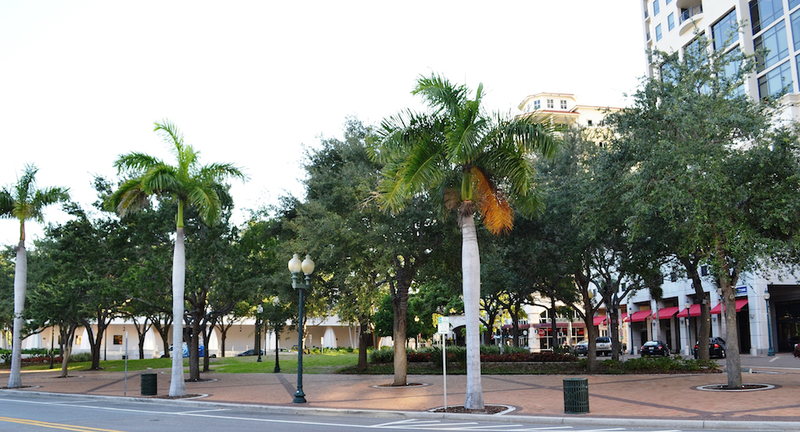 At that time, the Downtown Sarasota Alliance Residents Committee and the Downtown Sarasota Condominium Association supported the decision. A return of the benches could be one of several potential changes for the park. The city and its Downtown Improvement District (DID) recently have been contemplating several improvements to it. 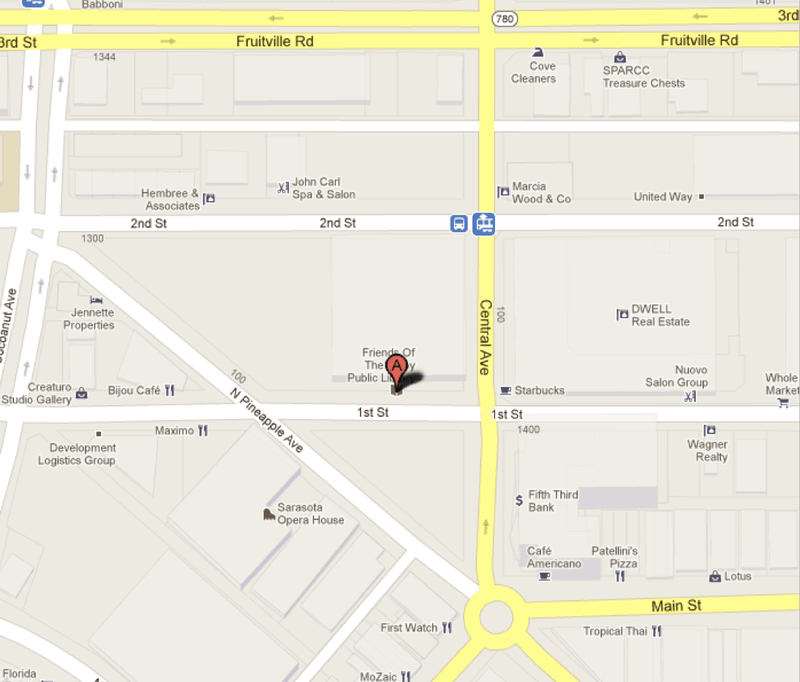 Another email, sent by a “Concerned Business” owner, voiced a contrasting view. The writer asked the city to expand the removal effort to include the benches at the intersection of Lemon and Pineapple avenues, in Pineapple Park.